Ideas on how to relate English teaching to future careers and life beyond school. In English, students study, use, and enjoy language and literature. Just about every job requires some English skills, whether it is good communication skills, writing skills, or good spelling. Display the Where to? posters in your subject area. You can download these below. If your classroom is often used for teaching English, create a display area about training in English, and careers that use English skills. Find more information about English-related industries on the Careers New Zealand website. Discuss these questions – Who uses communication skills in their work? Who uses writing skills in their work? Start a physical or electronic file of stories of people using communication and writing skills in their job. They could be from local newspapers or magazines. Get other teachers in your department and students to look out for stories to add to the file. Ask students to produce expressive or personal writing about career experiences such as work experience or workplace visits. Create a photo slideshow about the career of someone you know, using this website as a source of information. Narrate the slideshow to your class. Watch episodes from the Just the Job television series (available from your careers adviser) that showcase jobs using writing, communication and creativity skills. Talk about what a cover letter is. Discuss the appropriate language for writing a letter to a potential employer, and use the templates and advice on this website to create a tailored letter. Using the job interview tips on this website, discuss the appropriate communication style for a job interview. Get students to role play job interviews. Invite someone who works in an English-related field to speak at prize-giving or school assemblies, and/or to present the awards for achievements in English. Ask them to talk about how their school learning helped them progress into their chosen field. Provide time during the year for students to reflect on the skills they have learned in English by using personal journals, diaries, or creative workbooks. Learn more about tertiary study in English using this website. Ask students to create and present a role play, video, audio tape, or PowerPoint display about working in an industry, as described in a story they have read or heard. Debate the pros and cons of one career or course of study against another. Undertake transactional writing such as developing a CV or cover letter. Use the CV Builder tool and cover letter templates on this website to help. Ask students to interview someone about their career path. This could be in the style of "A day in the life of...". Submit the best ones to your school magazine or Tearaway. Visit a tertiary provider to meet tutors and students in English-related courses. Encourage students to take part in creative or non-fiction writing events such as author readings, book launches or public library visits. 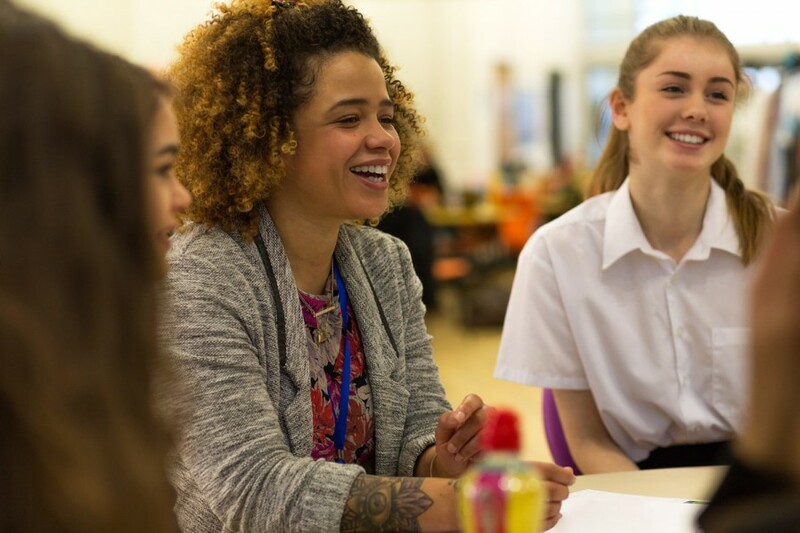 Encourage students to take part in Workchoice Days or work experience, or plan class visits to explore the kinds of places where people with specialist communication or creative writing skills work. During the visit, research career opportunities and pathways. public relations or marketing departments or companies. Does the school library subscribe to any publications that profile people in the field of English? What are these publications? What research topics could my students cover that would help them explore English-related careers? Do I have an up-to-date understanding of the importance and use of the skills I teach in English in the workplace? If not, how could I brush up on that knowledge? What do parents know about career pathways related to English? How could I help parents to improve their understanding of this? Have I spoken to parents about any English projects I have seen their child excel in? Here are some of the objectives from the English curriculum that can be related to career education. Show a developed understanding of how texts are shaped for different purposes and audiences. Show a developed understanding of ideas within, across, and beyond texts. Show a developed understanding of how language features are used for effect within and across texts. Show a developed understanding of a range of structures. Show a developed understanding of how to shape texts for different audiences and purposes. Select and use a range of language features appropriately for a variety of effects. Organise texts, using a range of appropriate, effective structures. Victoria University website - why study English? University of Canterbury website - what can I do with a degree in English? Victoria University website - why study media studies?